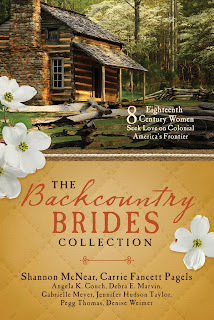 I am so excited to get to introduce my current release, The Backcountry Brides Collection! 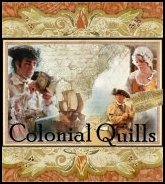 All eight novellas are written by contributors of the historical blog Colonial Quills, which focuses on the American colonial and Federal eras. The collection was the brain child of blog founder Carrie Fancett Pagels, and to our knowledge, is the first all-colonial collection from Barbour Publishing, maybe even by any Christian publisher. Pegg writes: Is there anything more tranquil than a sandy beach and blue waters? Scatter some smooth stones along the shore, top a few waves with a crest of white, listen for the raucous call of the gulls, sniff the tang of pine in the air, and you’ve got the Straits of Mackinac where Lakes Michigan and Huron meet. Now take it back to the spring of 1763. The fur traders known as Voyageurs are paddling along the majestic Great Lakes, their strong voices lifted in song. Bands of Ojibwe and Odawa are returning from their wintering grounds in the south. And the British have taken over Fort Michilimackinac (pronounced Mich-ee-leh-mack-in-naw) after ousting the French during the French and Indian War. Tensions are high as farther south Pontiac, a charismatic Ottawa chief, stirs up trouble against the British and American Colonists. This is where Her Redcoat starts. To celebrate the release of The Backcountry Brides Collection, including my story, Her Redcoat, I’m giving away one of my signature shawls. Today the area around Fort Michilimackinac is known for its beautiful lilacs. One subscriber to my newsletter will win Northern Lilacs, my handspun, handknit wool shawl on May 31, 2018. Subscribe today to be entered! Pegg Thomas lives on a hobby farm in Northern Michigan with Michael, her husband of *mumble* years. 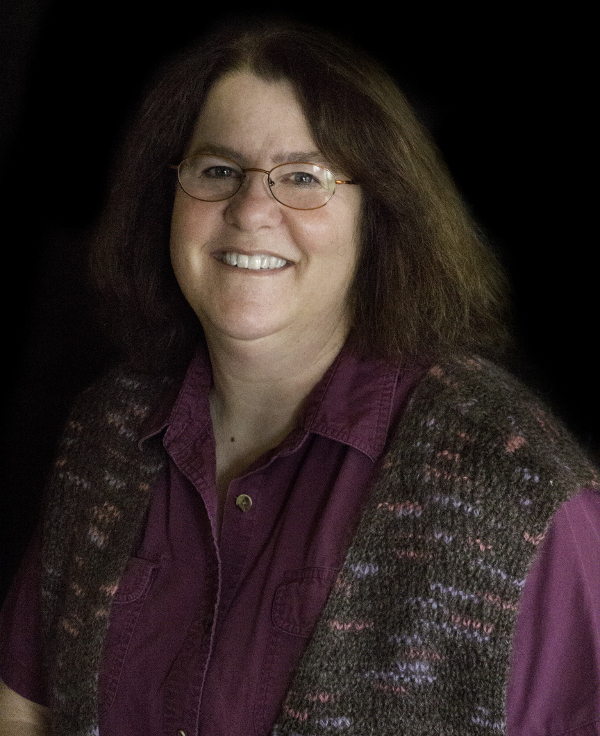 A life-long history geek, she writes “History with a Touch of Humor.” When not working or writing, Pegg can be found in her barn, her garden, her kitchen, or sitting at her spinning wheel creating yarn to turn into her signature wool shawls. Thank you for letting me kick off the blog tour for Backcountry Brides, Shannon! Congratulations Pegg on the Backcountry Brides Collection! I really enjoyed your story, Her Redcoat. I love your beautiful shawls, one day I hope to win one.